This is one of my favorite pieces I have done. I used graphite pencils and primsacolor color pencils on Bristol paper. 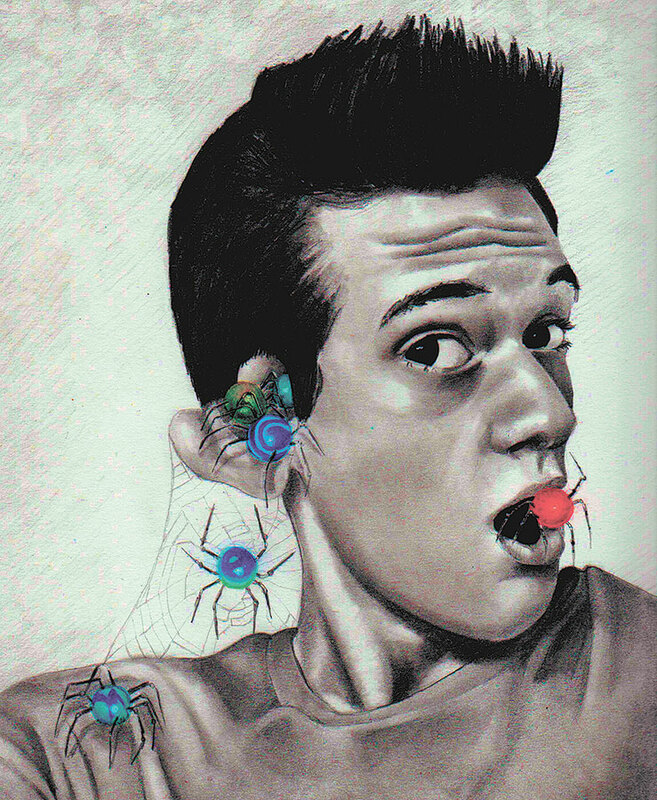 "Losing My Marbles" is a self-portrait of myself as an artist. I frequently feel like I am losing my marbles with all the crazy ideas and complicated tasks I get myself into. I love it when people smile when they see it because they are currently losing their marbles too.